The Norfolk Tides concluded an otherwise dismal road trip with a 2-1 11 inning victory over the Indianapolis Indians on Thursday night. The key to the Tides victory was pitching as Earl Weaver said “the only thing that matters is what happens on the little hump out in the middle of the field.” Starter Rick Vanden Hurk pitched 8 outstanding innings allowing 1 ruin on 3 hits, the run coming on the only hits he allowed in the game, successive singles to Pedro Ciriaco, Brian Friday and Kevin Melillo. With the exception of a walk to Brian Friday in the bottom of the 6th inning he allowed no other base runners. He threw 103 pitches with 73 being strikes, an amazing strike to pitch ratio in anyone’s book. Vanden Hurk came out of the game in the 9th and relievers Alberto Castillo, Frank Mata and Denis Sarfate all pitched an inning of scoreless relief allowing no hits with Castillo and Sarfate each walking a batter. Mata (3-2 3.07 ERA) got the win and Sarfate (2-1 S15 3.07) got his 15th save of the year. The Tides got 9 hits but manages just the two runs but that was all that they needed to secure the win. In the top of the 6th inning Brandon Snyder doubled and moved to 3rd on a sacrifice bunt by Scott Moore and scored on a Paco Figueroa single. The score remained tied until the 11th inning with neither team able to connect the dots to score a run. In the one out in the top of the 11th Paco Figueroa doubled on a pop up that was missed by Second Baseman Brian Friday. He advanced to third base on a ground ball out to first base by Jeff Salazar and with Robert Andino at the plate scored on a wild pitch by Indians’ reliever Jean Machi. The Indians were then sent down by Denis Sarfate to end the game. The Tides had 2 runs on 9 hits with no errors, the Indians 1 run on 3 hits with 2 errors. Machi (5-4 4.17 ERA) took the loss for the Tribe. The Tides return home to Harbor Park tonight for Navy Night against the Charlotte Knights with Troy Patton back on the hill for the Tides facing Brandon Hynick (1-2 7.03 ERA). On the roster the Chris George who injured his elbow against the Indians on Tuesday was placed on the 7 Day DL. In other news the Tides and Orioles announced a four year extension of their Player Development Agreement/ Affiliation that will go through the 2014 season. Double A Bowie and Advanced Single A Frederick announced similar deals. See you at the Church of Baseball, Harbor Park Parish. The Norfolk Tides rolled into Allentown where they once closed the factories down and defeated the Lehigh Valley Iron Pigs by a score of 8-3 on hot and humid Friday night. The game was delayed twice by rain for a total of delay of an hour and six minutes. 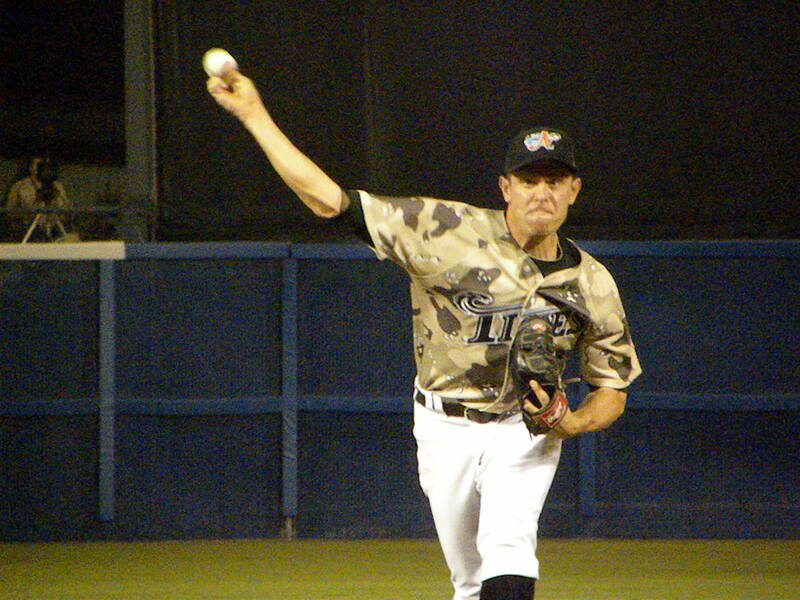 Troy Patton started for the Tides and pitched 4 innings allowing only 2 hits and no runs striking out 4 Iron Pigs. He left following the first delay after having faced only 14 batters and throwing only 56 pitches. Leaving in after 4 meant that though the Tides were ahead by a 3-0 score Patton did not figure in the decision. The Tides struck first scoring 3 runs in the top of the 2nd inning. Josh Bell led off the inning by taking Brian Mazone’s 3 and 2 offering and putting it over the left field wall. Rhyne Hughes was then hit by a pitch and with Brandon Snyder at the plate stole 2nd base. Snyder in the order for the first time since he went on the DL in June took a 2 and 1 offering from Mazone and planted it over the left center field wall. The game would remain 3-0 until the 7th inning. Troy Patton was followed by relievers Pat Egan, Mike Hinckley and Jim Hoey who held the Iron Pigs scoreless allowing only 3 hits. In the top of the 7th the Tides struck for 3 more runs. Michel Hernandez singled to lead off the inning and Robert Andino walked with 2 out. This brought Michael Aubrey to the plate and Aubrey hit a laser like blast over the right field wall on a 1 ball 1 strike count off Iron Pigs reliever Oscar Villareal over the right field wall. The blast was his 8th home run in the last 8 games, his 14th of the season. In the last 10 games Aubrey is hitting .353 with 8 homers and 21 RBIs and has a slugging percentage of 1.118 which is basically off the chart. The Tides scored two more runs in the top of the 8th inning. With one out Brandon Snyder doubled off of Mike Zagurski and Michel Hernandez drew a walk. Paco Figueroa singled to right to score Snyder and send Hernandez to 3rd base. This brought Matt “the Right” Angle to the plate and he singled to drive in Hernandez making the score 8-0. 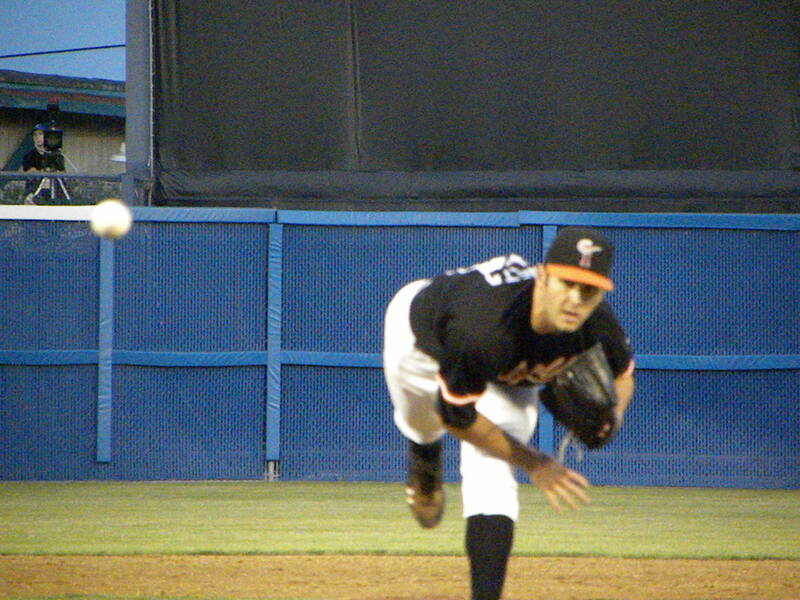 In the bottom of the 8th the Tides brought in Frank Mata in relief. Mata struggled in his first appearance after being optioned back to the Tides from the Orioles and struggled again Friday night. In the 8th he gave up back to back doubles to Domonic Brown and Andy Tracy then hit John Mayberry and walked Chris Aguila to load the bases before getting Neil Sellers and Paul Hoover both to pop and then strike out Brian Bocock to end the inning. Mata returned in the 9th inning and gave up a leadoff double to Chris Duffy and then a one out home run to Domonic Brown. Mata then struck out Andy Tracy and got John Mayberry to fly out to left fielder Nolan Reimold. Pat Egan (1-0 7.30 ERA) got the win for the Tides and Brian Mazone (5-11 3.97 ERA) got the loss. The Tides scored 8 runs on 12 hits with one error and left 6 men on base. The Iron Pigs had 3 runs on 9 hits with no errors and left 11 runners stranded. The teams meet again tonight with Chris Tillman (8-4 2.72 ERA) on the hill for the Tides and Nate Bump (7-4 3.15 ERA) pitching for the Iron Pigs. In Tides and Orioles personnel moves Brandon Snyder was activated from the DL and Jonathan Tucker sent to AA Bowie to make room for Snyder. Brian Roberts was activated in Baltimore and made his first appearance since being injured in April with the Orioles designating Scott Moore for assignment. Moore was quoted that if he clears waivers he would likely sign to remain in the Orioles organization and come back to the Tides. In an interesting statistical note the Tides now have 88 home runs compared to a season total of 78 in 2009 and 66 in 2008. 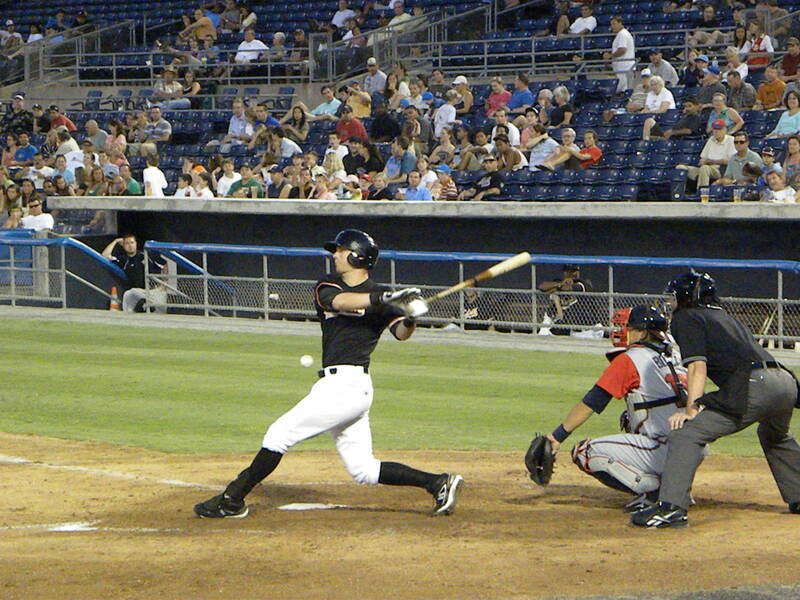 Norfolk Tides First Baseman Michael Aubrey is definitely back in fighting form after being injured early in the season and struggling to get his form back. 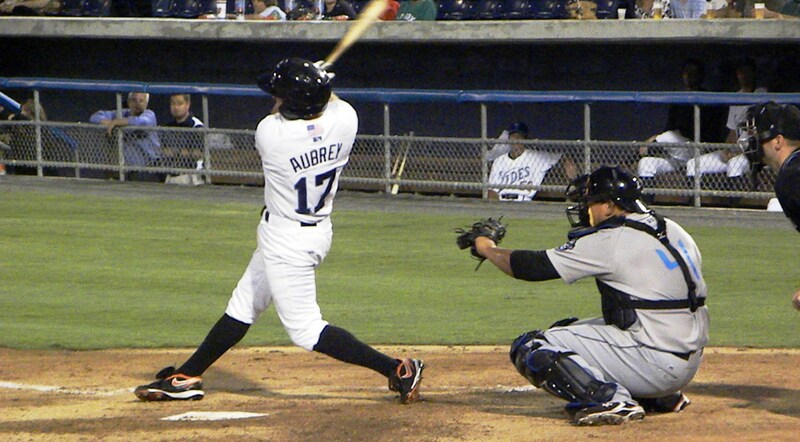 Aubrey has hit 5 home runs is the past 6 games and on Tuesday he turned Harbor Park into his park hitting his 11th home run of the campaign and driving in 4 runs in a losing cause. 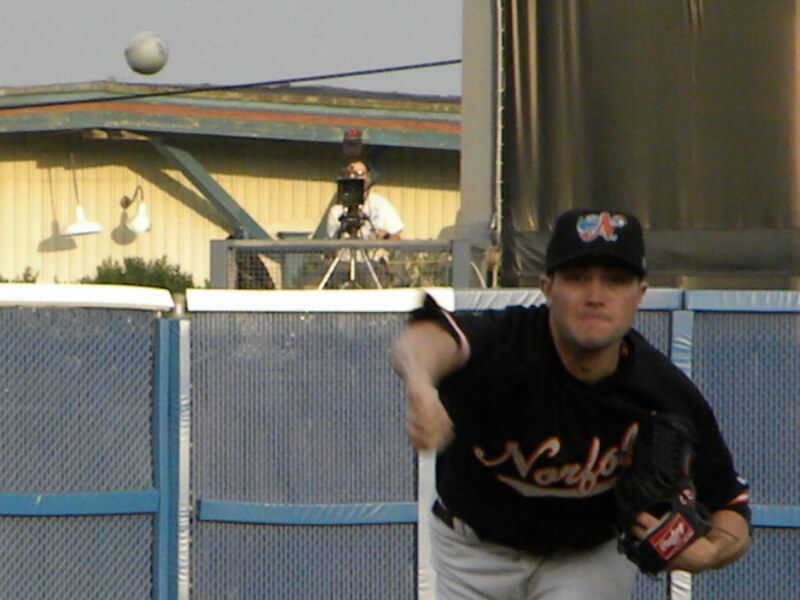 The game began badly for the Tides as starter Tim Bascom was shelled in the 1st and 2nd inning giving up 6 runs on 5 hits, one of which was a 2 run home run to Leonard Davis and 4 walks in just 1.2 innings work. Bascom (2-5 7.39 ERA) who is 0-3 in his last 4 starts giving up 19 runs on 23 hits with 9 walks and 4 home runs in 13.2 innings work with a 12.27 ERA took the loss. His last win was on June 27th against Louisville where he pitched 6 innings giving up 2 runs but living dangerously giving up 11 hits. It is possible that he could be sent back to AA Bowie to get back his confidence and work on his mechanics and if I was in the Orioles management I would do exactly that. With Chris Tillman being optioned back to Norfolk today following the beating that he received at the hands of the Rays on Monday the probability of this move has increased. Tides relievers Mike Hinckley, Cla Meredith, Alberto Castillo and Denis Sarfate pitched the remaining 7.1 innings giving up 2 runs on 8 hits striking out 7 and walking none. The Tides were held in check for the first 6 innings but in the 7th came alive. Matt Angle singled to lead off the inning and scored on Robert Andino’s 23rd double of the season. Nolan Reimold walked to bring up Michael Aubrey who has turned into a home run machine in the past week. Aubrey belted the ball over the right field wall on a pitch by Chiefs starter Ron Villone who was pulled from the game after the hit. The Tides threatened in the 9th inning when Jeff Salazar walked with one out and moved to third on a single by Nolan Reimold. Michael Aubrey came to the plate and drove in Salazar with a sacrifice fly but Rhyne Hughes struck out to end the game. The Chiefs had 8 runs on 12 hits with no errors leaving 10 on base. 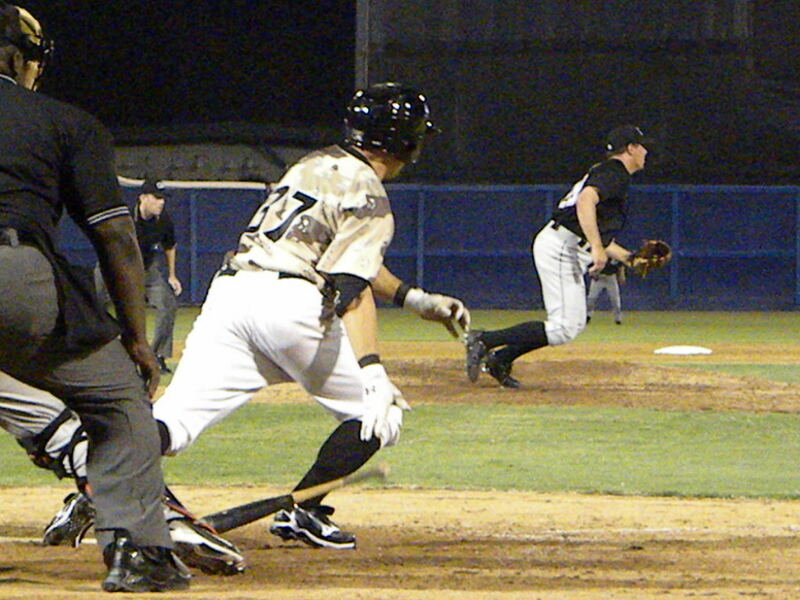 The Tides had 5 runs on 5 hits with 1 error stranding 1 man on base in the losing effort. Tim Bascom (2-5 7.39 ERA) took the loss and Erik Arnesen (3-5 4.35 ERA) was the winning pitcher. The teams meet Wednesday with Troy Patton (6-9 4.91 ERA) on the hill for the Tides against the Chiefs Jason Jones (1-4 4.82 ERA). Up in Baltimore the O’s came back in a see-saw game against the Rays. Down 8-4 in the bottom of the 7th the Orioles tied the game and scored the winning run when Julio Lugo hit a walk off single to score Cesar Izturis with 1 out in the bottom of the 13th inning. Former Tides infielder Scott Moore tied the game in the bottom of the 12 after the Rays had taken a 10-9 lead. After beating the daylights out of the Gwinnett Braves on Wednesday the Norfolk Tides had the favor repaid by the International League Southern Division leading Durham Bulls who seem to have a penchant for stomping the stuffings out of most of the teams that they play. Thursday night was a brutal reminder of how deep the Tampa Bay farm system is and what they have in reserve down in Durham. The Bulls manhandled Tides pitching. 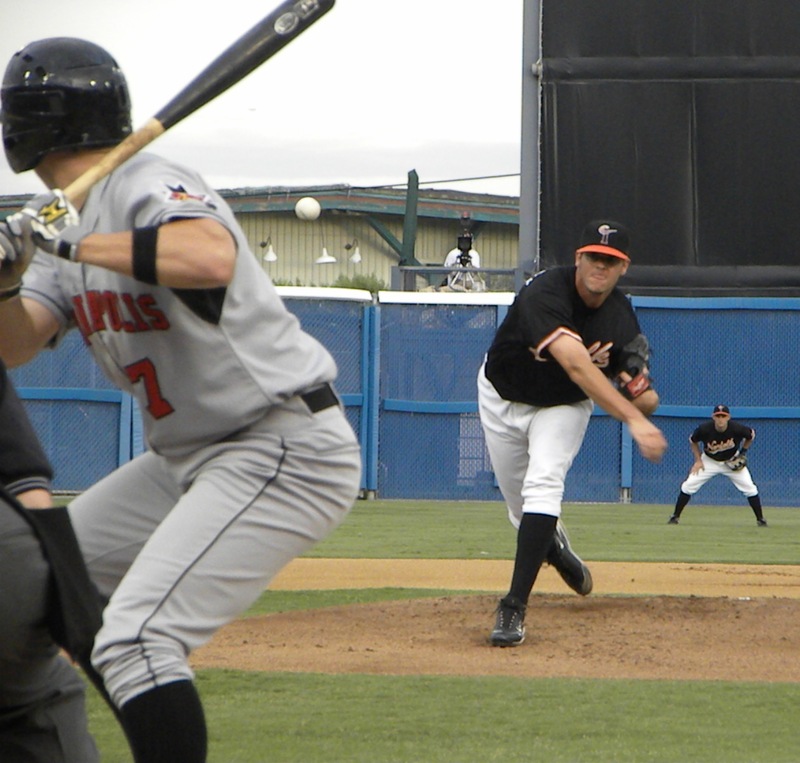 Starter Zack Clark (0-4 5.06 ERA) lasted but 3.2 innings giving up 6 runs on 10 hits including a two run home run to Elliott Johnson, 2 doubles to Justin Ruggiano and a double to Chris Richard. Mike Hinckley came in and pitched 2.1 innings momentarily halting the massacre only giving up 1 run on 3 hits. The slaughter continued as Cla Meredith who has performed miserably since his demotion from Baltimore gave up 3 runs on 3 hits along with 2 walks in an innings work and saw his Earned Run Average creep back up to 12.91. Closer Alberto Castillo was tagged for an 8th inning home run by Justin Ruggiano. Meredith was dropped from the 40 man roster when he was designated for assignment in May by the Orioles and we all hoped that he would recover and do good things and work his way back to the majors. This has not happened and it is time that the Orioles give him his outright release and bring Chris George or Andy Mitchell back to the Tides lineup. As for Clark he is still learning at the AAA level, one hopes that he will learn what he needs to from this thumping and not let it affect his next start. 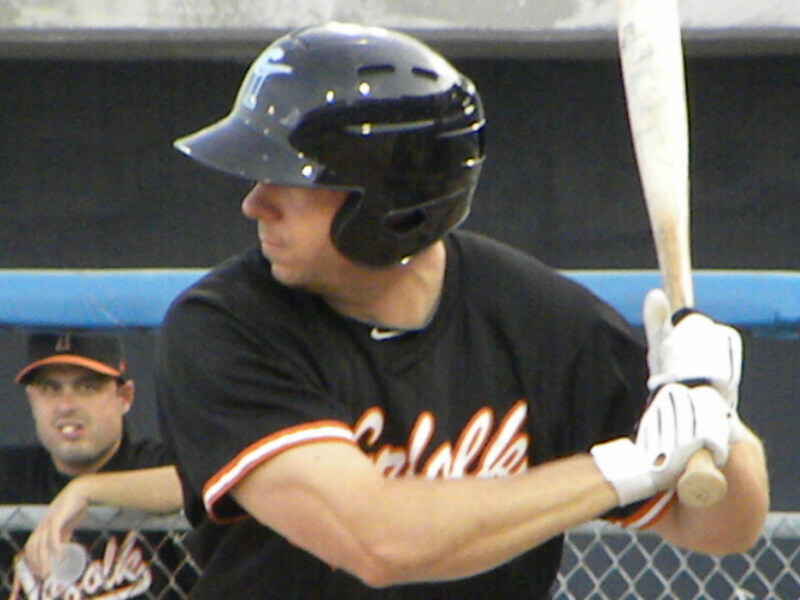 However Clark has been up and down the Orioles minor league system a number of times since being signed in 2006 including 2 prior trips to Norfolk so one has to wonder if Clark has reached his limit. I do not know if he has but it certainly is a valid question to ask as Clark had played in College before coming into the Baltimore system and while he has a passable career ERA he does not have a history of being a consistent winner. Castillo only gave up one run but it was a long ball and though only having two really bad outings has not been the same as he was last year. He is now 35 years old, has been in professional ball 16 years, it is possible that he is running out of gas and no amount of heart and determination will keep you in the game when nothing is left in the tank. Being an old guy in a young person’s organization I have a soft spot for guys like Castillo that are still plugging away when their best years appear to be behind them, it takes a lot to go out day after day when things hurt and don’t get better quickly and you know that the fastball doesn’t quite have the same zip that it once had the legs tell you that they feel like lead. I’d like to see Castillo do well and get that one last shot in the majors, a time where the sun can shine upon him in the twilight of his career and he can go out a winner. Of course I want the same for guys like Chris George who has not had a bad season and even Andy Mitchell who was shifted to the relief role and has had some good outings after a rough start to the season. George was sent to Bowie and Mitchell appears to be back on the Tides “taxi squad” officially assigned to Aberdeen but apparently with the team. On the offensive side of the house it looked like the Tides would match up well scoring 3 runs on 3 hits in the top of the 2nd inning, however after the 2nd inning the Tides would muster only 4 more hits. Michael Aubrey and Jonny Tucker each had doubles while Tucker and Blake Davis each had 2 hits in the game. The Tides also left 11 men on base which means that they did not capitalize on the hits that they got or the walks and errors committed by Durham. The teams meet today with Tim Bascom (2-2 5.47 ERA) on the hill for the Tides and Virgil Vasquez (3-0 4.44 ERA) pitching for the Bulls. The Norfolk Tides suffered a bit of a letdown after taking the last three games of their seven game set against Charlotte on Tuesday night losing to the Gwinnett Braves by a score of 9-4. Tides starter Zach Britton (0-1 2.53 ERA) gave up 4 runs, 3 of which were earned on 7 hits while striking out 4 and walking 2. The Tides had 9 hits in the game and collected 5 walks from Braves pitchers but left 9 men on base including 6 left in scoring position the bulk of their runs coming in a 3 run 8th inning but it was not enough as Charlotte hitters dominated Tides pitchers in the first game of their four game series at Cool Ray Field. The Braves were doing the tomahawk chop on Tuesday on the Tides collecting a total of 14 hits while capitalizing on 2 Tides errors and 6 walks. Mike Minor (2-0 1.42 ERA) got the win for the Braves. On Tuesday night the Tides struck back and struck back hard. Behind excellent pitching of Troy Patton (6-8 4.67 ERA) who has continued to get better as the season has worn one and finally is getting run support from the offense. Patton pitched 7 strong innings giving up 2 runs on 4 hits. Walking just 1 and striking out 3. He yielded to Pat Egan who allowed no runs and a hit in the 8th and Denis Sarfate who allowed no hits to close the game in the 9th. The Braves pitching staff on the other hand was smacked down hard by the Tides hitters. Starter Jo Jo Reyes did a good job lasting 6 innings and giving up just 2 runs on 9 hits striking out 8 Tides batters getting out of a number of jams. However the Braves could not spell “relief” and in the 7th inning Cory Gearrin (0-4 4.80) was blasted for 6 runs on 4 hits including a two run home run by Nolan Reimold and a double by Rhyne Hughes as well as 2 walks. 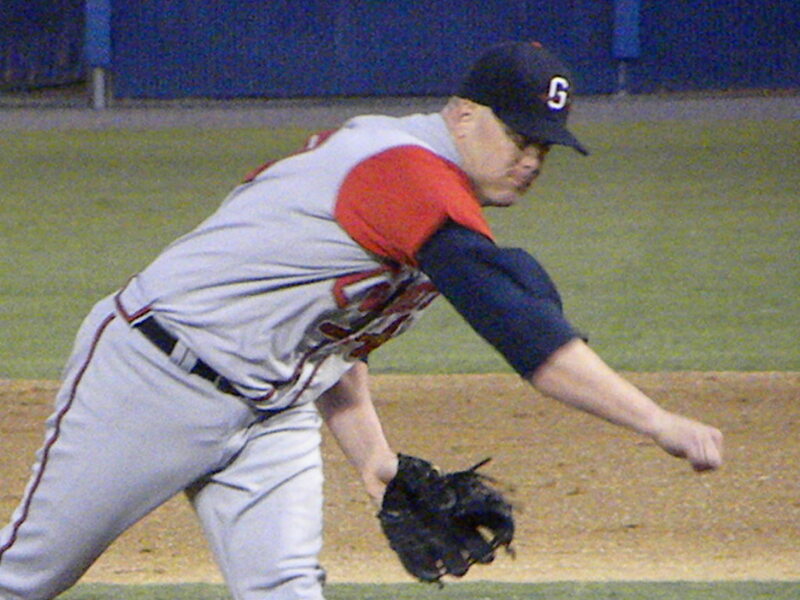 Gearrin lasted but two-thirds of an inning and was relieved by Scott Proctor. Proctor got the 3rd out but gave up a run on 2 hits in the 8th. Vladimir Nunez came on in the 9th and surrendered another run before getting out of the inning. Besides the Tides pitching the story was the hitting of the Tides. The Tides relentlessly pounded out 17 hits in the game in scoring the 10 runs. For the first time that I can remember every Tides batter had a hit and a good number multiple hits. Matt Angle went 3 for 4, Robert Andino 2-4 with 4 RBIs, Rhyne Hughes 2-5 with an RBI, Adam Donachie 3-3 with an RBI and Jonny Tucker 3-4 with 3 RBIs. 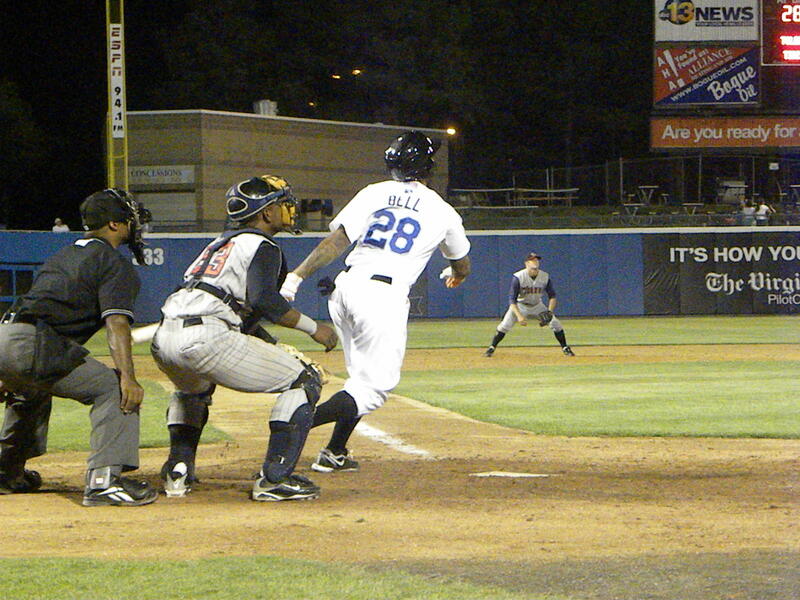 Nolan Reimold had a single hit the home run while Paco Figueroa and Blake Davis each picked up hits. The Tides scored twice in the 3rd inning on a series of singles, but the big damage came in the 7th inning against Cory Gearrin. Jonny Tucker walked and went to third on a wild pitch. Matt Angle walked and was followed by Robert Andino who singled to score Tucker. Michael Aubrey came to the plate and singled to score both Angle and Andino taking 2nd on an error by Center Fielder Jordan Schafer. This brought up Nolan Reimold who belted a home run to left field scoring him and Aubrey. Rhyne Hughes then doubled and scored on a sacrifice fly by Adam Donachie. Tucker doubled to lead off the 8th inning advanced to 3rd on a Matt Angle single and score on a sacrifice fly by Robert Andino. 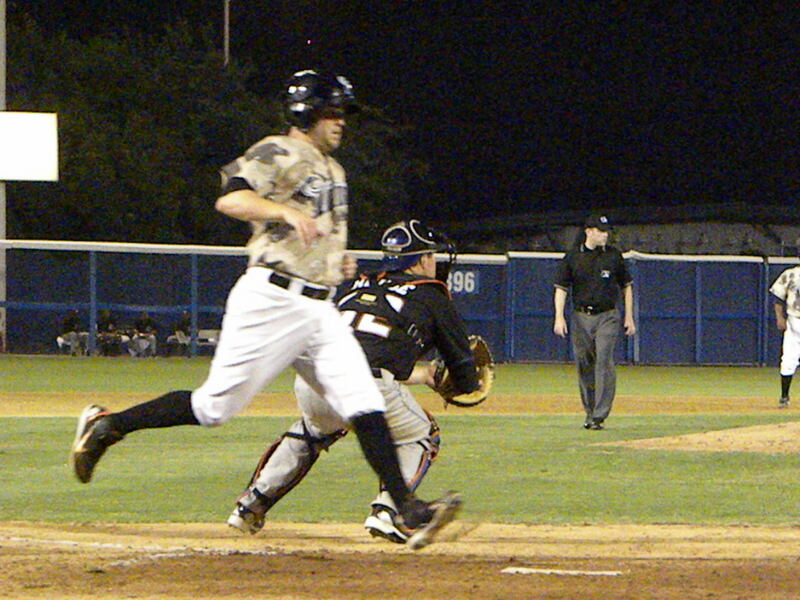 In the 9th inning Adam Donachie doubled and scored on a single by Blake Davis. 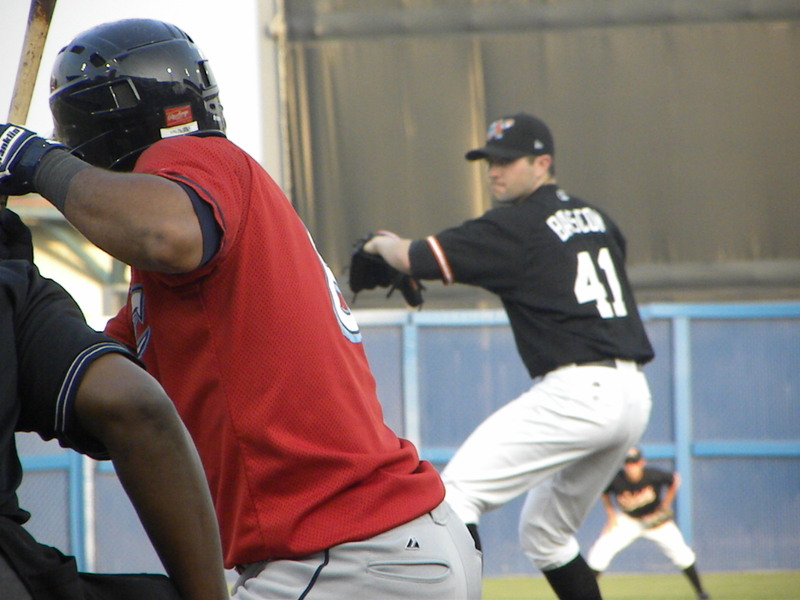 All told Troy Patton (6-8 4.67 ERA) got the win, Cory Gearrin (0-4 4.80 ERA) got the loss. The Tides had 10 runs on 17 hits and committed 2 errors leaving 8 men stranded. The Braves had just 2 runs on 5 hits and an error leaving 5 men on base. The Tides travelled to Durham where tonight they face the division leading Bulls with Zach Clark (0-3 3.06 ERA) on the hill for the Tides and Richard D. De Los Santos (6-4 4.20 ERA) pitching for the Braves. 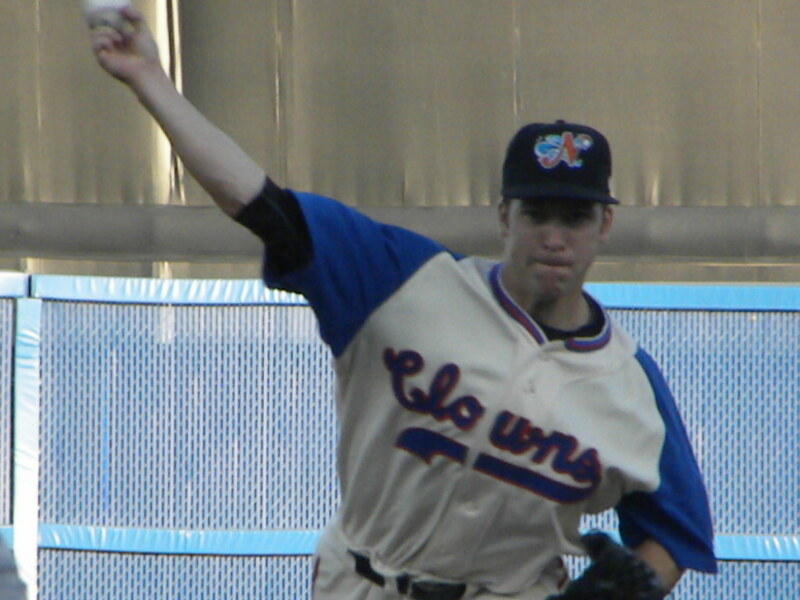 Chris George was reassigned to AA Bowie and former Tides reliever Ross Wolf who had been traded last month to the A’s AAA farm team the Sacramento River Cats had his contract purchased by the A’s and is now on that major league club. All the best to Ross in Oakland. Brandon Erbe, Kam Mickolio and Brandon Snyder all remain on the disabled list. After a hitting frenzy in the first five games of this home stand there have bee two pitcher’s duels at the Church of Baseball, Harbor Park Parish with the second being even more impressive than the first. What had been scheduled as a match up between the two leading pitchers in the International League, Tides right-hander Jake Arietta and Braves right-hander Chris Resop changed when Arietta had his contract selected by the Orioles and at game time in Norfolk was on the mound in Baltimore pitching in his Major League debut against the World Champion New York Yankees. Instead of this highly anticipated match up the Tides started Tim Bascom who had been called up Thursday from AA Bowie and Bascom performed magnificently in his AAA debut for the Tides. However it was Resop that stole the show last night pitching to the minimum 27 batters allowing just one hit with eight strikeouts and no walks to shut down a Tides offense that had been running roughshod over opposing pitching most of this home stand. Bascom went 7 innings allowing 3 runs on 6 hits with 6 strikeouts and tendered just one walk. He would be followed by Jim Miller who pitched well but had problems with his throws to first on two bunts which resulted in errors and allowed runners placed on board by Bascom to score. In Baltimore Jake Arietta was the story pitching 6 innings and getting his first Major League win against the New York Yankees by a score of 4-3 with some help by some of his Norfolk Tides team mates. Scott Moore who went to Baltimore last month from the Tides who hit his first Major League home run, Frank Mata came in to shut down the Yankees in the 7th and David Hernandez notched his first Major League save as the closer. The O’s broke a 10 game losing streak against the Yankees with the win. The Tides managed to rebound from a 6-0 Buffalo lead only to lose in the 9th inning when Michael Hinckley just promoted to Norfolk from AA Bowie loaded the bases with no outs to give up 4 runs in the top of the 9th inning. Tides starter Armando Gabino had his worst outing of the season giving up 6 runs on 6 hits, though 2 of the runs were unearned due to a fielding error by Second Baseman Blake Davis in the 3rd inning which opened the floodgates. Gabino got into trouble again in the 4th and was relieved by Jim Miller. Miller would settle things down and pitch three innings before yielding to Ross Wolf in the 7th. Wolf too held the Bisons in check as the Tides offense went to work. Brandon Snyder ignited the Tides in the 5th inning when with one out he hit a line drive over the right field wall into the Tides bullpen. 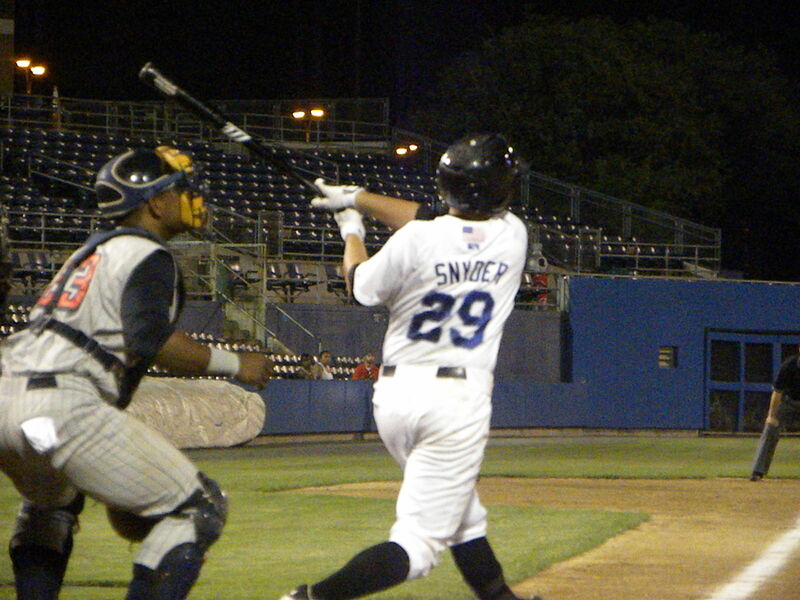 That hit by Snyder rocked Harbor Park. The fans that had been silenced by the Bisons were back in the game and the effect was electric. Blake Davis then singled and Michel Hernandez walked. With 2 on and 1 out Matt Angle singled to drive in Davis to cut the lead to 6-2. 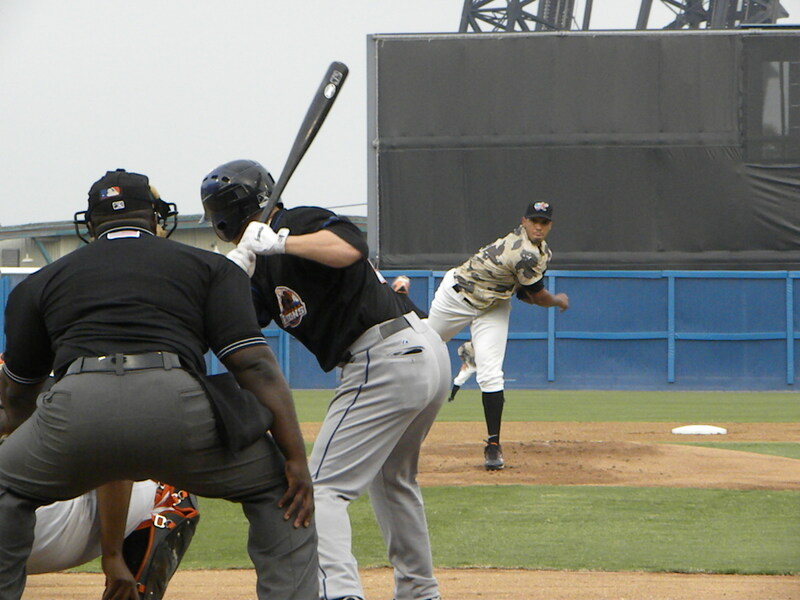 In the 5th inning the Tides scored another run when Josh Bell reached second on a throwing error on an infield ground ball. 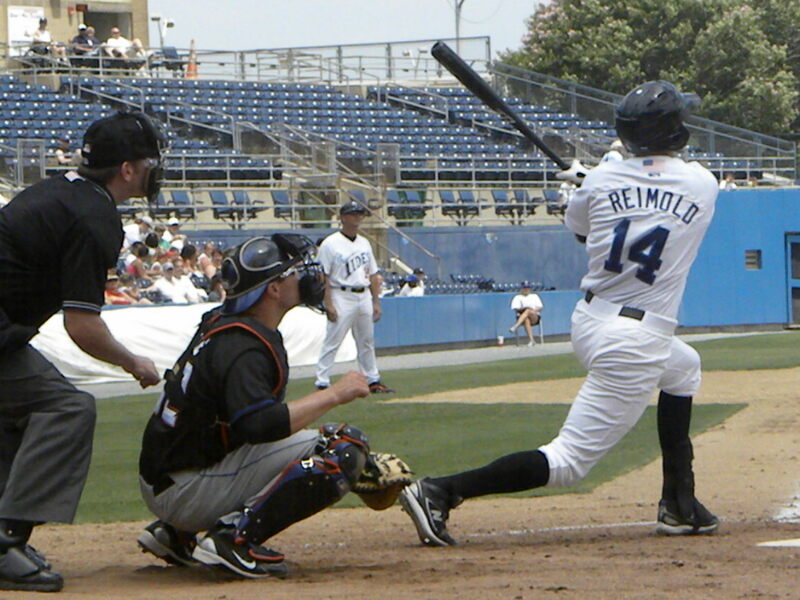 Nolan Reimold who seems to be improving after a dismal season in Baltimore followed by a worse start in Norfolk singled to drive in Bell making it a 6-3 game. The Tides tied the game in the bottom of the 7th when with 1 out Michel Hernandez singled and advanced to second on a single by Matt Angle. Hernandez scored when Robert Andino singled and Matt Angle advanced to second base. Jeff Salazar singled to drive in Angle and move Andino to third base and would score on a sacrifice fly to center to tie the game at six. It appeared at this point that the Tides had all the momentum and had the Bisons on the ropes. 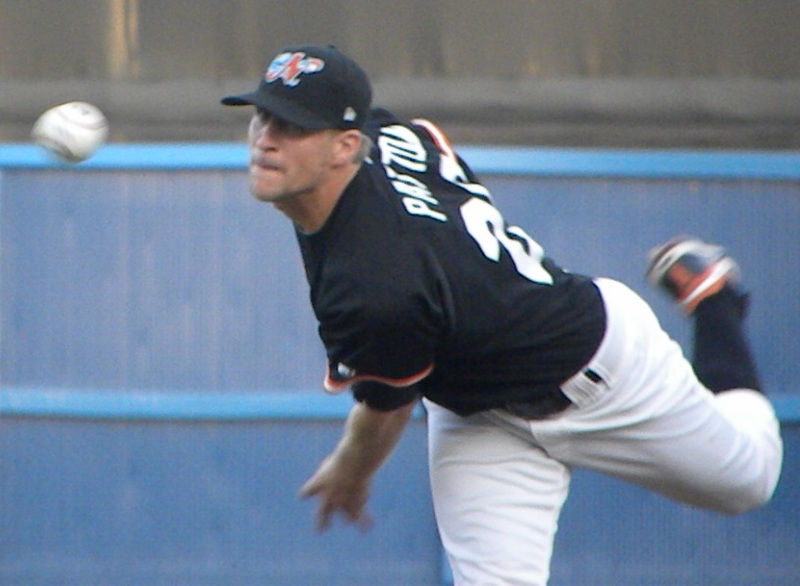 In the top of the 9th Michael Hinckley who had just been promoted to Norfolk from Bowie when hard luck Pedro Viola was sent down to Bowie made his first AAA appearance. He gave up a single to former Tides infielder Justin Turner and a double to Mike Jacobs. 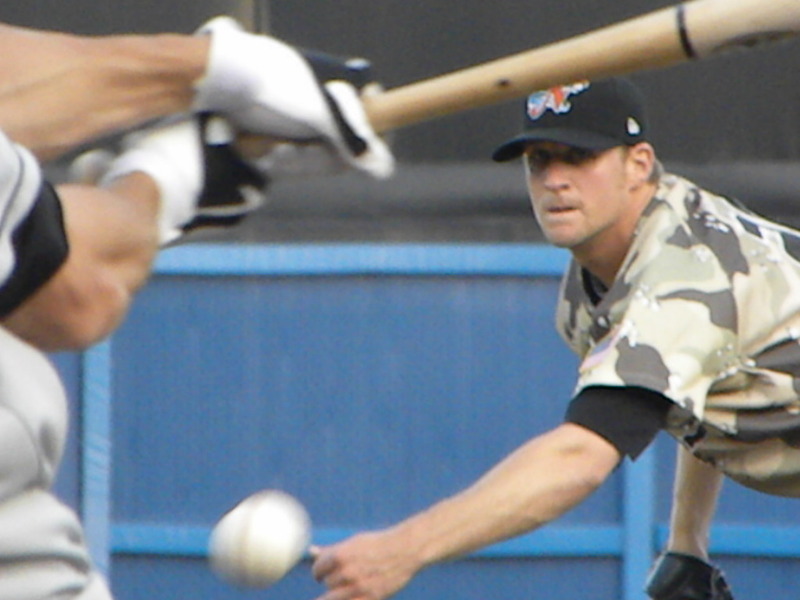 He then walked all time Minor League Baseball Home run king Mike Hessman to load the bases. Now with the bases loaded he walked Russ Adams to give Buffalo the lead. At this point Bobby Dickerson brought in former Oriole Cla Meredith hoping that Meredith’s Major League experience would pay off and shut down the Bisons before more damage could be done. This was not the case as the first batter that Meredith faced Valentino Pascucci doubled down the line in right to clear the bases and give the Bisons a 10-6 lead. Meredith struck out Andy Green but lost it on a wild pitch which put Green on first and Pascucci on third base. J R House grounded out to score Pascucci before Meredith got Jesus Feliciano to ground out to end the frame. The Tides went down quietly in the bottom of the 9th and the game ended with the final score Buffalo 11 and the Tides 6. Buffalo had 11 runs on 12 hits with 1 error and 8 men left on base, the Tides 6 runs on 12 hits and 2 errors with 6 runners left on base. Bisons’ reliever Bobby Parnell (1-1 4.73 ERA) got the “unsave” and the win and Hinckley the loss giving up 4 runs without retiring a batter. I did notice a couple of things that I thought were important. First Bobby Dickerson did not wait and wait to make pitching changes; he got pitchers out of the game when they got in serious trouble. Unfortunately in the 9th inning he had misplaced confidence in Cla Meredith. The second thing and this was even more important, the Tides hitters got the team back in the game as relievers Miller and Wolf held the Bisons after they had gotten out to the 6-0 lead. Another note of interest was the continued hitting of Brandon Snyder and the 4 hits of Matt Angle in the lead off position. The Tides and Bisons play tonight at Harbor Park and it will be a hot one with temperatures in the high 80s at game time. Jake Arietta (6-2 1.77 ERA) will be going for his 7th win of the season against Dylan Owen (1-1 4.76).